← Who is the Day Star? This article is reproduced from the book ‘Will Islam Be Our Future? A Study of Biblical and Islamic Eschatology‘ by Joel Richardson. It is Chapter 12 entitled ‘The Antichrist Spirit of Islam.’ I have instead used KJVER for the Bible verses. That Jesus is the Christ/Messiah (The savior/deliverer of Israel and the World). The Father and the Son (The Trinity or that Jesus is The Son of God). That Jesus has come in the flesh. (The incarnation – that God became man). The religion of Islam, more than any other religion, philosophy, or belief system, fulfills the description of the antichrist spirit. The religion of Islam makes it one of its highest priorities to very specifically deny all of the above points regarding Jesus and His relationship to the Father. In fact, it can very fairly be said that Islam literally is a direct polemical response against the above essential Christian doctrines. Regarding the above points however, Muslims will be quick to argue that Islam teaches that Jesus is indeed the Messiah. But this is really just trickery. While it is true that Islam does retain the title of Messiah for Jesus, when one asks a Muslim to define what the title “Messiah” actually means in Islam, the definitions given are always hollow and fall entirely short of containing any truly messianic substance. In Islam, Jesus is merely another prophet in a very long line of prophets. Biblically speaking however, the role of the Messiah, among other things, also entails being a Divine Priestly Savior, a Deliverer and the King of the Jews. As we saw in the earlier chapters about the Muslim Jesus, rather than being a Messiah that saves or delivers Israel and all of his faithful followers in any way, in the Islamic traditions, Jesus instead returns to lead Israel’s enemies against her in battle and to kill or convert all Jews and Christians. This would be the equivalent of calling Adolph Hitler, rather than Moses, Israel’s deliverer. For now, we see that the apostle John informs us that just before the final hour, a very specific “spirit” will dominate the earth. This spirit will deny many of the essential biblical doctrines regarding who Jesus is and what He came to do. Islam epitomizes this spirit perfectly. Thus many Muslims feel as though either believing in the trinity, or ascribing divinity to Jesus are both among the greatest sins conceivable. In fact, believing in these essential Christian doctrines is more than just a sin; it is the most heinous of all crimes! In the Muslim mind, shirk refers not only to the beliefs of polytheists, or pagans but also to the essential historical doctrines of the Christian faith. Below we will examine these three essential doctrines and how Islam specifically denies them. The Quran literally pronounces a curse on those who believe that Jesus is God’s Son. People say such things utter “gross blasphemies” and are likened to “unbelievers” or infidels. Without question then, in this regard, Islam is an antichrist religious system. Remember Jim Hastings comments from chapter one? He was the priest in training who converted to Islam. “The thing I’ve always latched to is that there’s one God, he doesn’t have equals, he doesn’t need a son to come do his work.” Islam attempts to create an acceptable form of monotheistic worship yet it not only leaves out the most essential aspects of a saving relationship with God, but it also literally exists to directly confront these things and even calls them the highest forms of blasphemy. “Far be it from God that he should have a son!” These words encircle the inside of the Dome of the Rock Mosque in Jerusalem. This is the very location where for centuries God’s people; the Jews, worshipped in their Temple awaiting their Messiah. This is also where Jesus, the Son of God and the Jewish Messiah will someday rule over the earth. Islam has literally built a monument of utter defiance to this future reality. And the Quran does not stop at denying that Jesus is the Son of God or that God exists as a trinity. Among Islamic scholars, there are actually numerous conflicting theories regarding exactly what happened to Jesus. (For ironically, regarding this issue, it is actually they who are the ones who have “only conjecture to follow.”) But despite the inability of Muslims to arrive at any form of consensus regarding what happened to Jesus, they are very much in agreement on at least one issue: He was not crucified! This passage of the Quran makes at least this much clear. 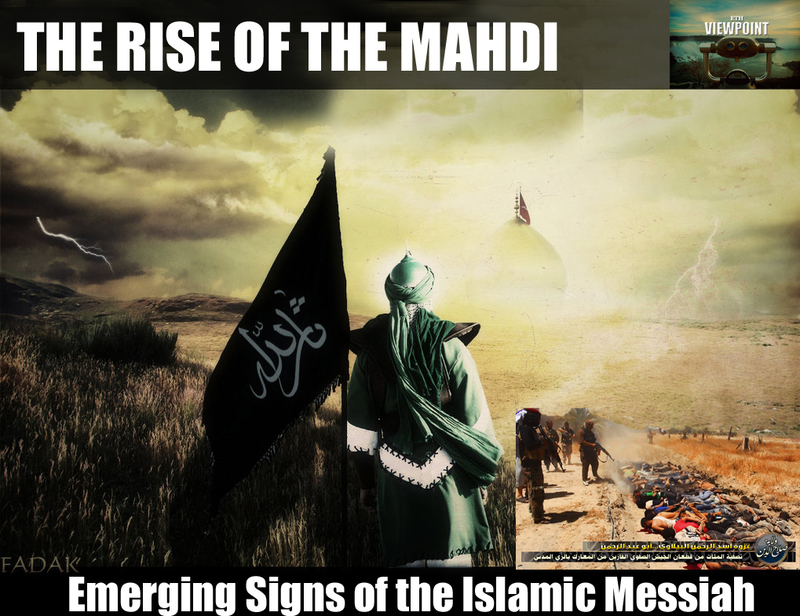 How Does The Antichrist Spirit Of Islam Affect Muslims? Now, let me be clear that I am in no way trying to liken all Muslims to Satanists in any way. I have met many wonderful and very decent Muslims who would never express any form of blatant disrespect for Christian doctrine, even if they secretly felt this way. But I am speaking very truthfully when I say that in terms of my personal experiences of witnessing assaults toward the Gospel message, only Satanists and Muslims have expressed such a high degree of venomous disgust. While there are indeed many religions and systems of belief that do not agree with the doctrines of Christianity, many which do not even believe in God, only Islam fills the role of a religion that exists to deny core Christian beliefs. And of course, following the lead of the Quran, the three doctrines that are most severely and most often attacked and mocked by Muslims are the doctrines of the trinity, the divine incarnation and the atoning sacrifice/crucifixion of Jesus. The Quran itself expresses such blasphemies. As someone who is in continual dialogue with numerous Muslims from all over the world, I can testify that the blatant antichrist spirit that we saw expressed in the Quranic passages above, quite often blooms into an overt disdain and utter contempt not only for Christian beliefs but also for Christians themselves. While this is not always the case, should we really be surprised when Muslims act out against those who the Quran literally curses as idolatrous infidel blasphemers? And if we are being realistic, should we expect the future of Islam to be given to those Muslims who identify with the Quranic scorn for Christians or to those who show an amiable attitude despite the curses of their own holy book? And lastly, in regard to whether or not Islam is specifically the Antichrist system that the Bible foretells, there can be no question that this, the second largest, fastest growing religion in the world, is and has been from its inception, the quintessence of the very antichrist spirit that John the apostle warned us of. This entry was posted in Belief in God, Biblical doctrines, Christianity, Islam and tagged AntiChrist, antichrist spirit, denial of Christ, Islam, Jesus Christ, Mahdi, Messiah, Shirk, Tawhid, trinity. Bookmark the permalink. Sean, I agree we don’t have to believe in, in the sense of know the name of, the Holy Spirit specifically to be saved. But we do have to believe in the risen Christ, and without the Holy Spirit, we can’t do that. All who believe have the spirit. The use of ‘trinity’ in the article links Jesus to the Godhead. In Islam Muhammad got that wrong and included Maria, Jesus’ mother, but even confused her with Moses’ sister. Both have the same name, Maryam. Maria or Mary is from the Latin form of the name. I know the word ‘trinity’ does not appear in the Bible, in the Greek Traditional Text, or the Aramaic texts. I have studied at great length the texts used for the KJV and find no basis in what you say, apart from the use of some ecclesiastical words, like ‘bishop’ etc. But the reason I agree with the teaching on trinity is found in this study Monotheistic God and the Trinity. That study also covers the issues with the corruptions that Muhammad introduced.